In healthy women the menstrual cycle should be regular, painless and generally symptom-free. Unfortunately, I rarely see female patients with ‘perfect’ cycles. Irregular periods, infertility & hormonal acne are two of the most common reasons that women seek out my care. Many of weight-loss patients even have hormonal imbalances at the root cause of their inability to lose weight despite diet and exercise. This is due to the fact that women with estrogen dominance have been shown to burn 300 – 400 less calories everyday compared to women with ‘balanced’ hormone levels. 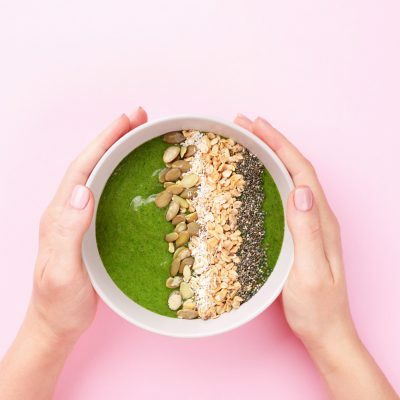 Stress, poor dietary choices, digestive issues and environmental toxins all contribute to hormonal problems and we may be able to offset this damage to our endocrine system by simply adding a few tablespoons of nuts and seeds to the diet. This recipe is one of my go-to follicular phase breakfasts for healthy hormones [if you’re currently in your luteal phase you can check out my progesterone supportive recipes instead: here + here]. These muffins contain a generous serving of flax seeds, which are a great source of lignans, a type of phytoestrogen. Phytoestrogens are nutrients that are structurally similar to the hormone estrogen. Due to this similarity lignans can act as female hormone normalizers. This means that flax seeds can have either estrogenic or anti-estrogenic effects in the body depending on your own estrogen levels. Flax seeds also contain a good dose of omega 3 fatty acids and fibre, both of which contribute to healthy hormones via their impact on the good bacteria in your digestive system. I’ve even thrown a few pumpkin seeds into this recipe as a dietary source of magnesium; an important cofactor in healthy estrogen detoxification. 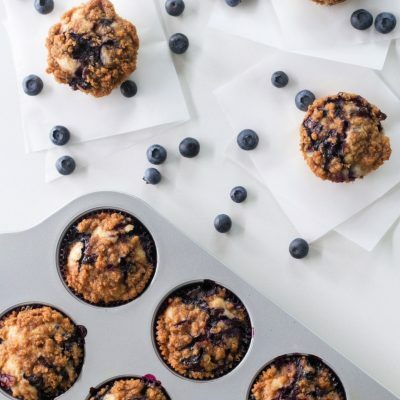 These muffins are wonderful for supporting optimal estrogen health throughout the first two weeks of your cycle. I hope your enjoy this tasty, low carb, and hormone balancing breakfast. This recipe is one of my go-to follicular phase breakfasts for healthy hormones. 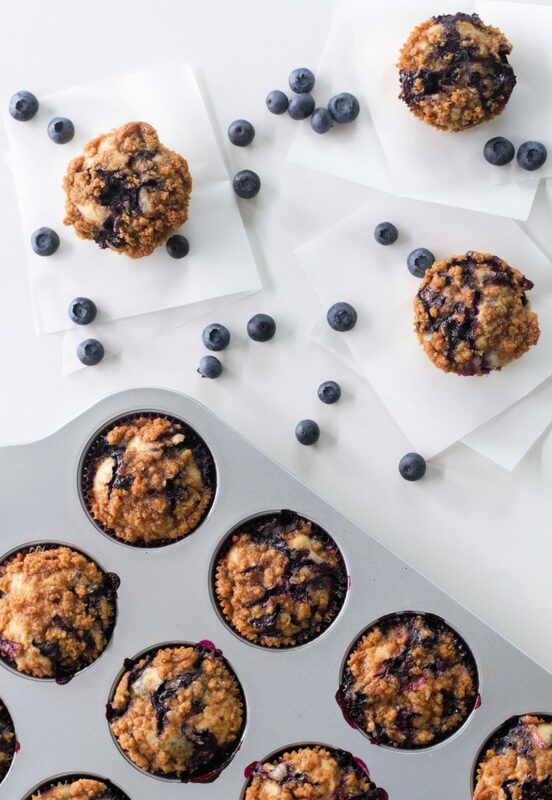 These muffins contain estrogen-balancing flax seeds & hormone healthy magnesium & omega 3's for a happy, healthy cycle. Preheat oven to 350F. Mix the dry ingredients (salt, baking soda, almond flour, ground flax, monk fruit or sugar of choice) together in a medium sized bowl. 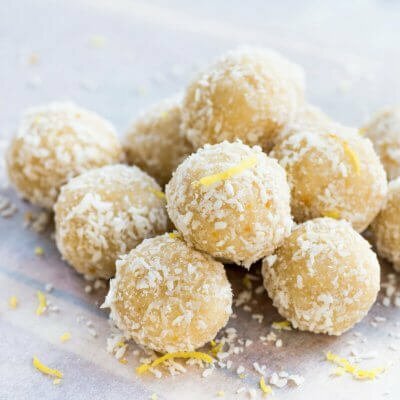 In a small bowl mix the coconut milk, lemon juice, vanilla extract and coconut oil until well incorporated. Mix the wet ingredients into the dry then gently fold in the pumpkin seeds and blue berries. Our 2 tbs batter into each well of a lined muffin tray and bake 30 - 35 minutes until golden brown on top. While seed cycling can be a wonderful addition to your treatment plan it’s unlikely to fix severe hormonal imbalances. If your hormonal symptoms are extreme (we’re talking excessive bleeding or relationship-ruining mood swings) then it’s important to check in with your Naturopathic doctor or Integrative MD to ensure there isn’t a more serious underlying reason for your more hormonal imbalance.